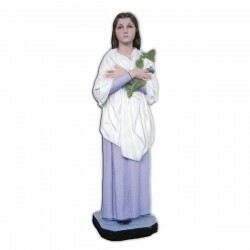 Statue of Saint Maria Goretti of 44 cm. The virgin and martyr Saint Maria Goretti is commemorated on the 6th of July. She was born in 1890 in Corinald, near Ancona and she died in 1902. When she was a baby she showed signs of sanctity. 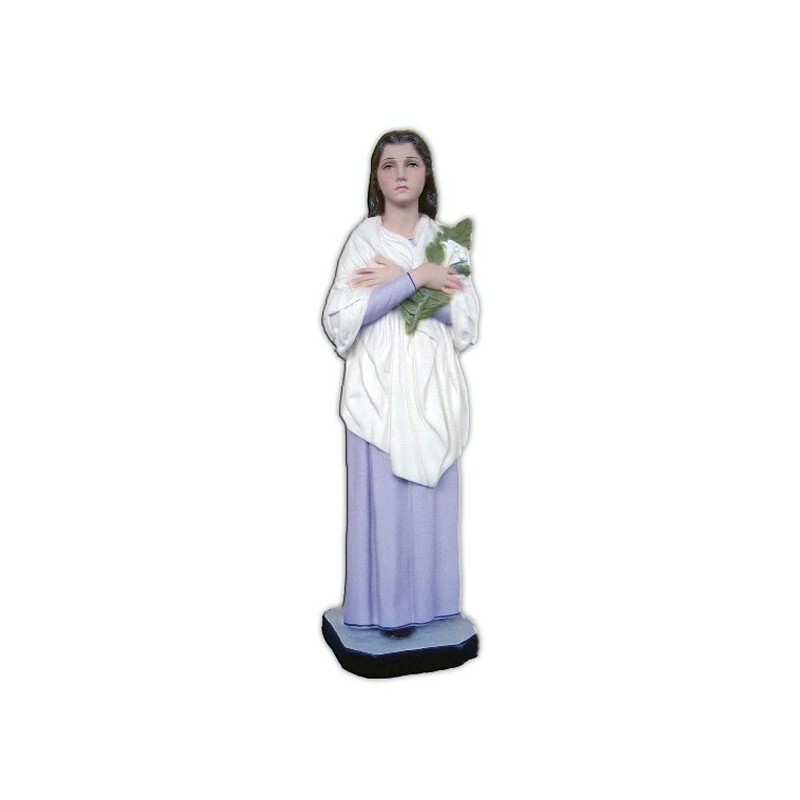 She was persecuted by a youth, with bad purposes. One day, while everyone was at work, he found Maria and he assailed her. She tried to defend her self, but she died. When in 1950 she was canonized, there were her mother, her family and also her murderer. It is believed that she made 40 miracles. She is illustrated as a youth with the palm and the lily. It took me awhile to actually talk myself into ordering this. I am so happy I did. The detail in the face was perfect, the quality of the statue unmatched. It shipped to me from across the world and it was received in perfect form. This statue was perfect. Note: shipping was extremely fast and professional.